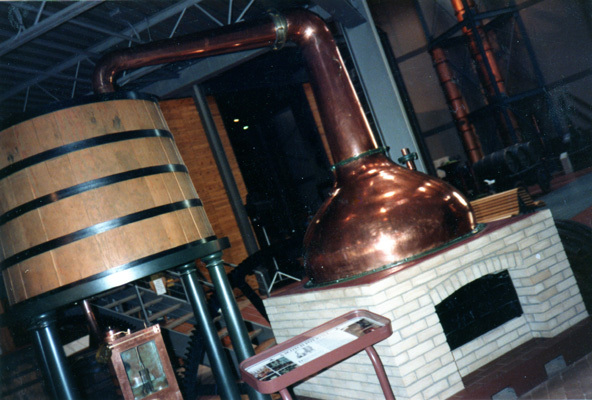 In the early 1980’s the Seagram Corporation developed a beverage museum on the premises of the first Seagram Distillery, in Waterloo, Ontario. 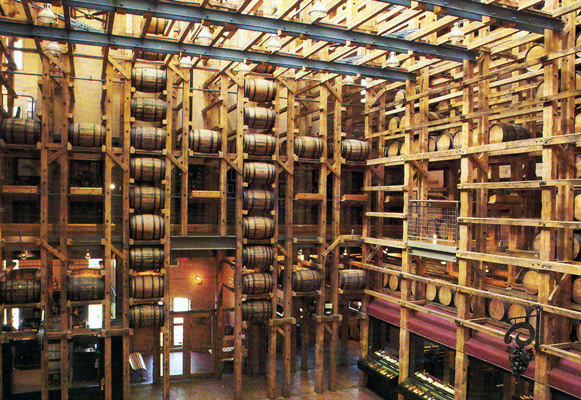 This was a cavernous structure for ageing the spirits, replete with barrels in place as they were in the 19th century. The special thing about this project–at the time, unique in all the world–was that no expense was spared to provide a comprehensive and very high-quality presentation of artifacts tracing the history of beverage manufacturing. 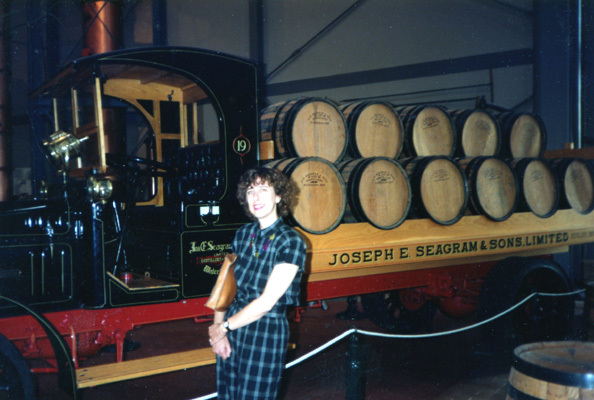 A curator, formerly with the Royal Ontario Museum, scoured Europe for the very best vintage wine presses, stills and other equipment. 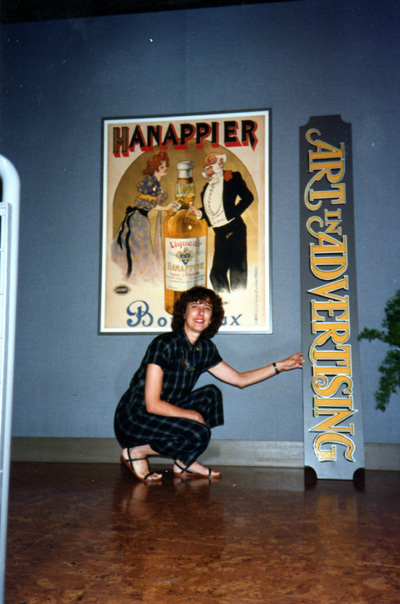 In early 1989, we were approached by the Seagram Curator to provide a number of vintage beverage posters for the Museum’s collection, to be introduced by a special exhibition, titled, “Art in Advertising,” running from September 1989 to February 1990 (later to be extended). 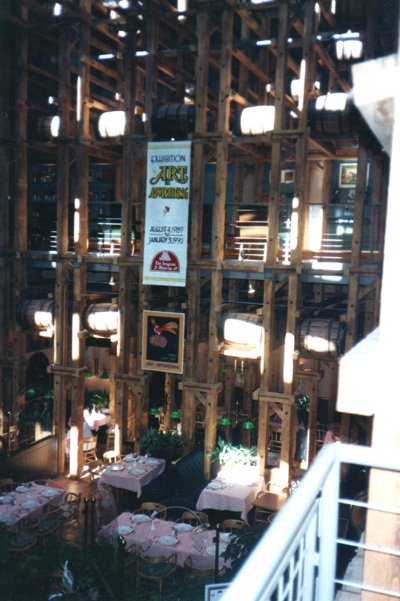 This was a place that could really stage a gala, with great public relations,a fabulous restaurant and a fine events facility. 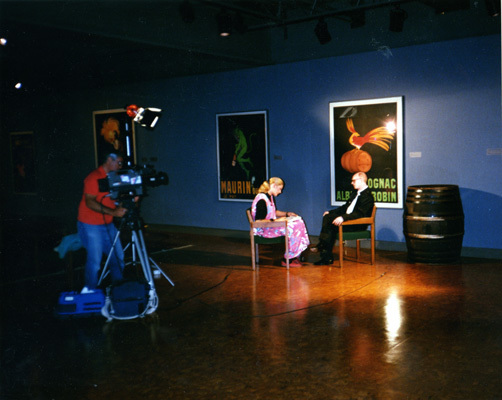 It was a heady taste of what our budding graphics business could be, and we’ll never forget it! 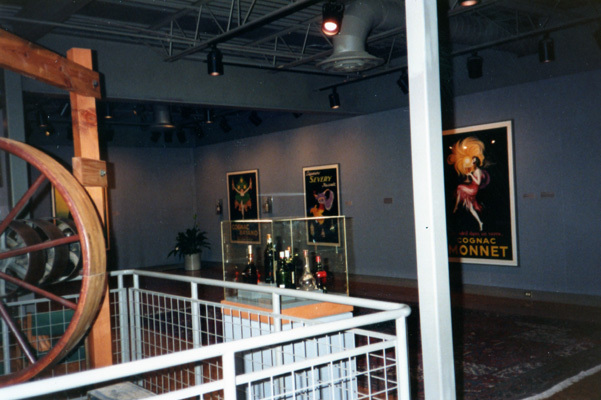 By 1997, due to lack of public response, and the Bronfman Empire’s quickly losing interest in an Ontario operation, the museum was closed–most of its artifacts going to beverage facilities in California; and its poster collection being resold to us. A short but very sweet dream. And an object lesson in the vicissitudes of aspirations. 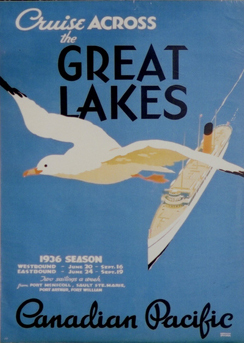 This poster was distributed across Ontario to promote the show. We have the only remaining instances of this wonderful moment. This entry was posted in Current Events, Industrial Design, Poster&Graphic Art and tagged Museum design, wine and spirits posters. Bookmark the permalink.